Looking back at my Home Build Kitchen Inspiration Post, I'm happy to see that my vision for our new kitchen has been realised, give or take a few things! We've definitely achieved the open-plan space we were after, complete with a large island and as much storage space as we could squeeze in. One of the key things was making the island bigger than what was in the plans originally, and I'm thrilled with that decision. Great for entertaining, it's also made meal and snack times with the kids much easier. In fact, I love nothing more then having them up at the island munching away (often with their friends or our neighbour's kids) as I'm busy working in the kitchen, chatting away to them. 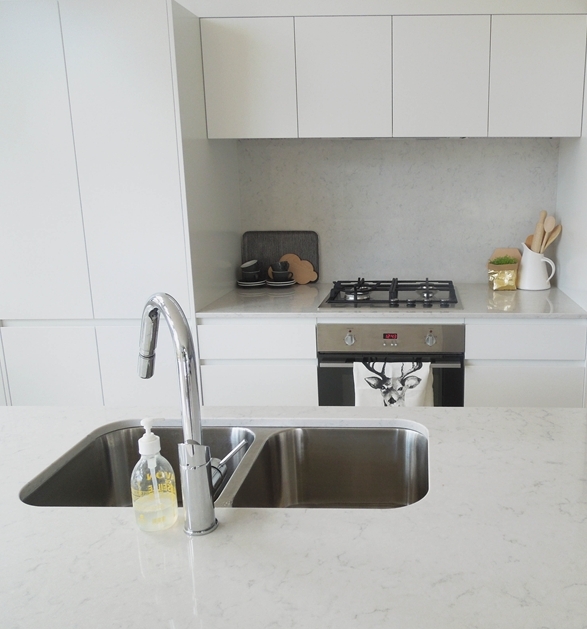 I love the Silestone benchtops which we decided to carry through to the backbench and splashback. Incredibly hard-wearing and easy to keep clean, the Lagoon design from their Nebula Series has a beautiful marble look, while the 20mm width and waterfall design has contributed to the timeless, elegant feel I was after. We're also thrilled with the cabinetry, which we took as high as the plans would allow, matching the colour to the walls in Resene Black White. The soft close cupboards and drawers were definitely worth the investment. With the dining table being adjacent to the island, I decided from the start that I only wanted statement pendant lighting over one or the other, and because I had my heart set on the Lee Bloom Crystal Lights, the island seemed most fitting. As it turns out, as beautiful as they are, they do not provide the necessary task lighting for working in the kitchen, so that idea was aborted. Instead, I chose to focus on the dining table with the Muuto Unfold Pendants, and I couldn't be happier. We also sourced some Eric Therner Diamond Lights for the living area, which are a cheaper alternative to the Lee Broom, but will give the space the pretty, delicate touch that I want. More goodness from LET LIV with the ACME & CO cups and saucers. 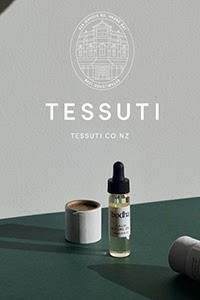 Still on the kitchen wishlist, and what I really need right now is that Nespresso machine! 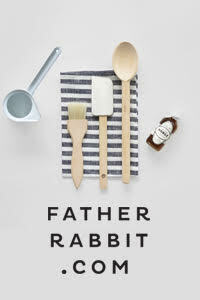 The Fog Linen Tray and Cloud chopping board are from Father Rabbit. 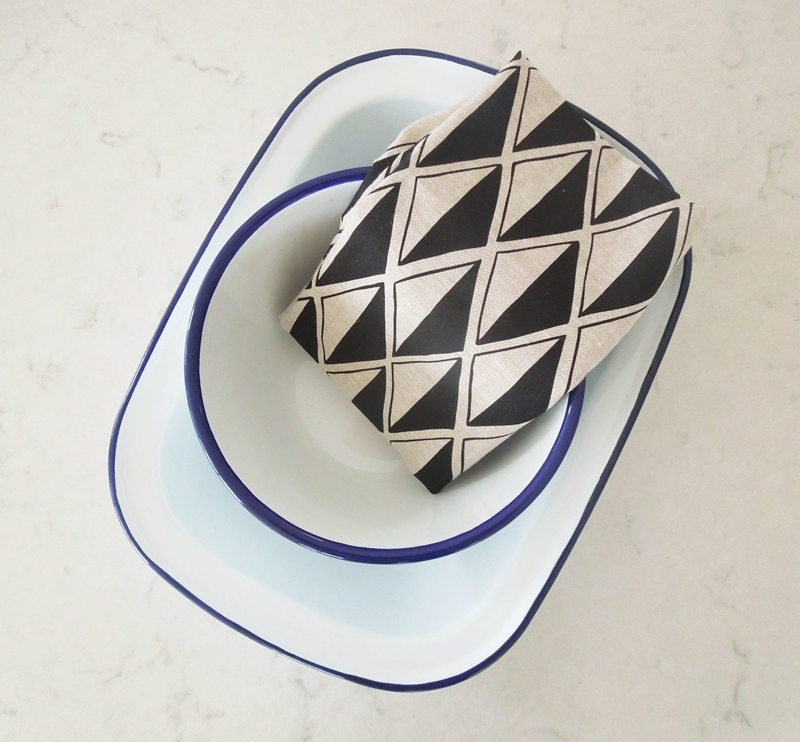 As far as functionality goes, the extra deep sinks are a favourite feature as they keep dirty dishes out of sight when entertaining, and while I'm taking photos for that matter! The extendable tap which is something I've always wanted makes washing up super easy, and the built in rubbish and recycling bins are also fabulous! For a while there I really struggled to find barstools that I liked, that were also affordable. 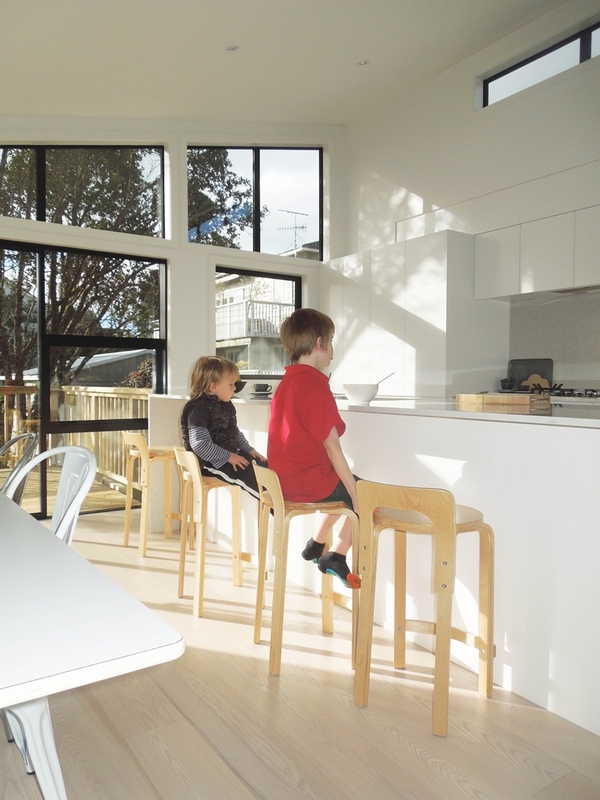 To contrast with the metal dining chairs I wanted wooden stools that could take a few knocks from the kids, as I knew they'd be getting up and down from them all the time. Not long before the big move, Mocka announced news of a new product, the Hudson Stool. I was thrilled. 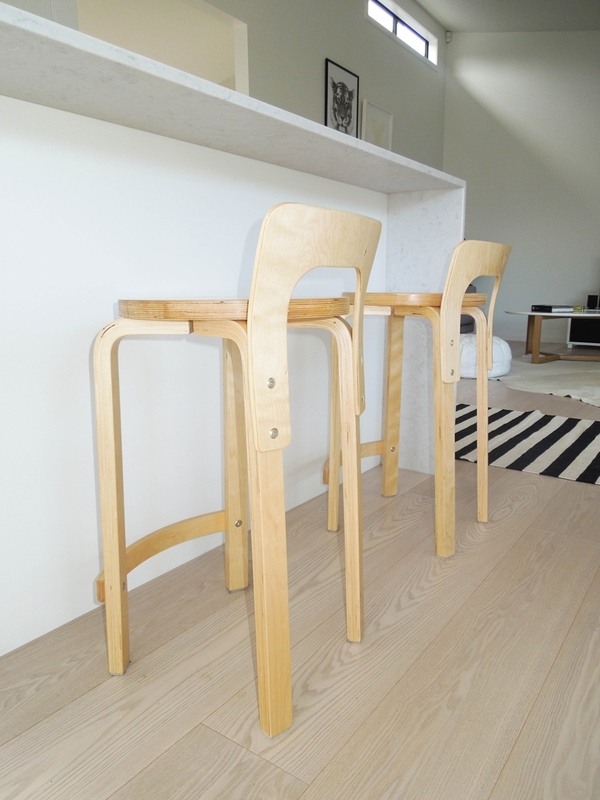 As one of my trusty go-to local furniture and homewares company for both kids and adult spaces, this stool is a replica of one of my all-time favourite designs by Alvar Aalto. 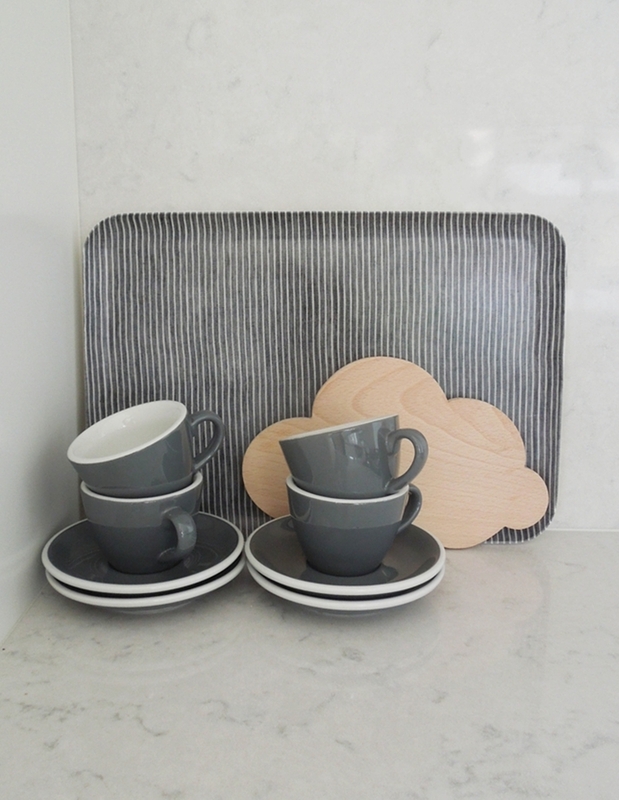 Stylish but without the price tag, they are perfect for our home and lifestyle right now. Arriving flat-packed they were easy to assemble, and the kids love them. Placing adhesive felt to the bottoms of the legs has made them really smooth along the floor and I've had loads of positive comments already. 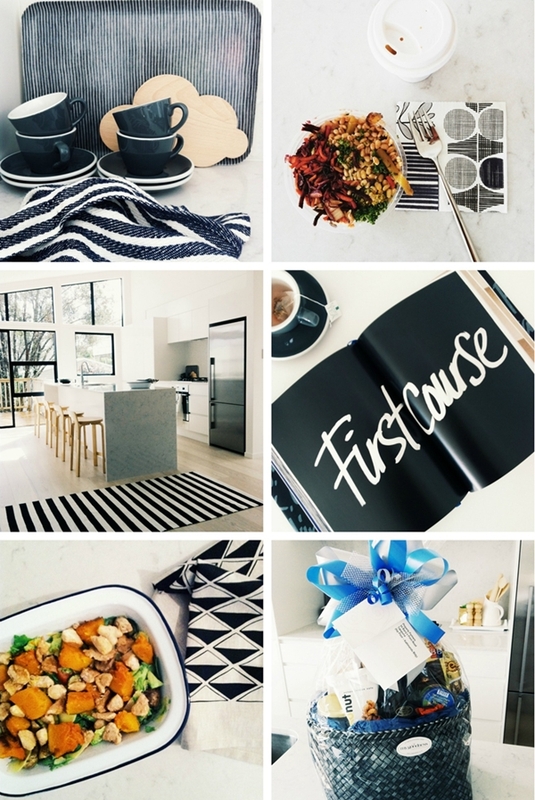 Here are some of my Instagram kitchen pics to finish off (follow me @thedesignchaser), including one of a surprise hamper that arrived from our building company Property Partners today! Great timing for the weekend, which I'm so looking forward to after a huge week. Have a good one and I'll see you back here on Monday. A Little Brilliant Michelle! Of course!!! Hi, can I ask who your tap is by? 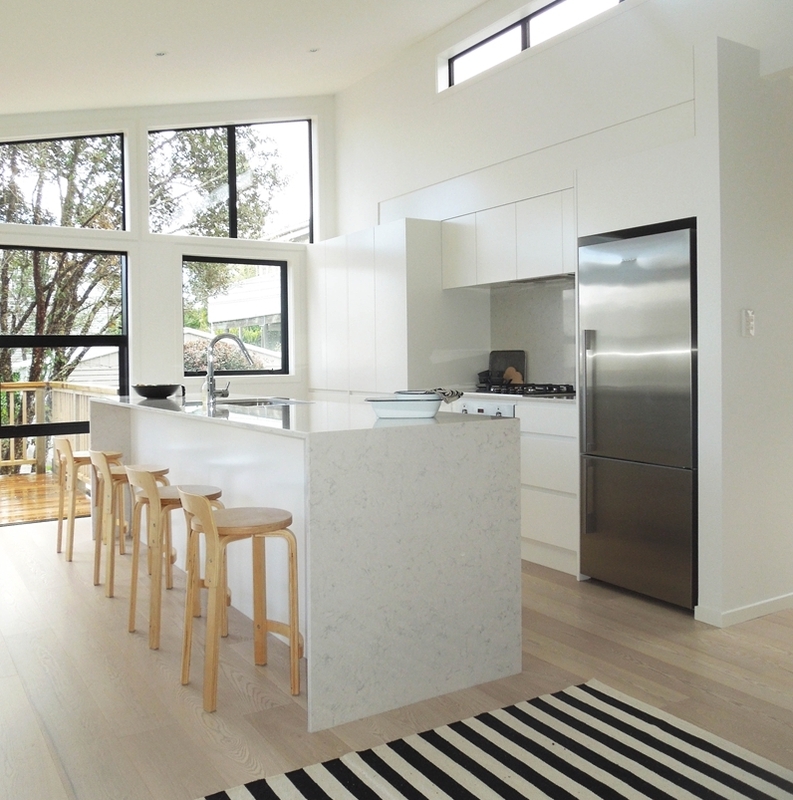 Am loving the Silestone! Wow!! Michelle you have done an amazing job and all looks fabulous. I got very creative ideas through your post. 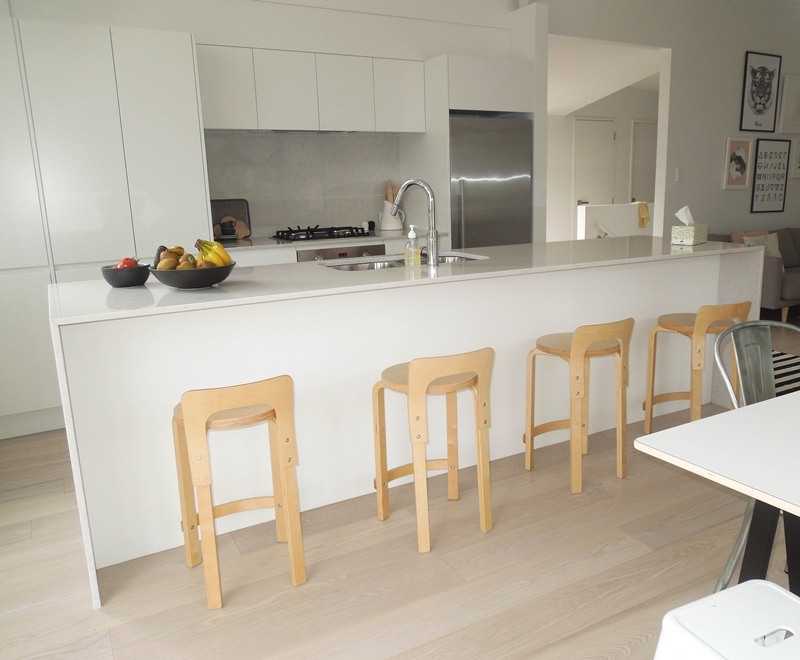 I like these beautiful wooden stools and I must say your kitchen looks so stylish which attracts me so much and also love to design my kitchen by using these ingenious ideas. It's gorgeous!!! Very lovely kitchen. What a lovely kitchen you have now! :)) Looks fabulous and seems really functional also! The big kitchen island is really great! I asked you about your floors on Facebook a couple of weeks ago - and am rapt to see you built with Property Partners as that is who we are using as well! Hasn't started yet as title etc delayed but hoping to start digging some earth in the next couple of weeks! Stoked to see they have done such an amazing job. And i have very similar taste to you so it's great to see it all put together. The kitchen looks great, I love the long island, a really useful thing to have. 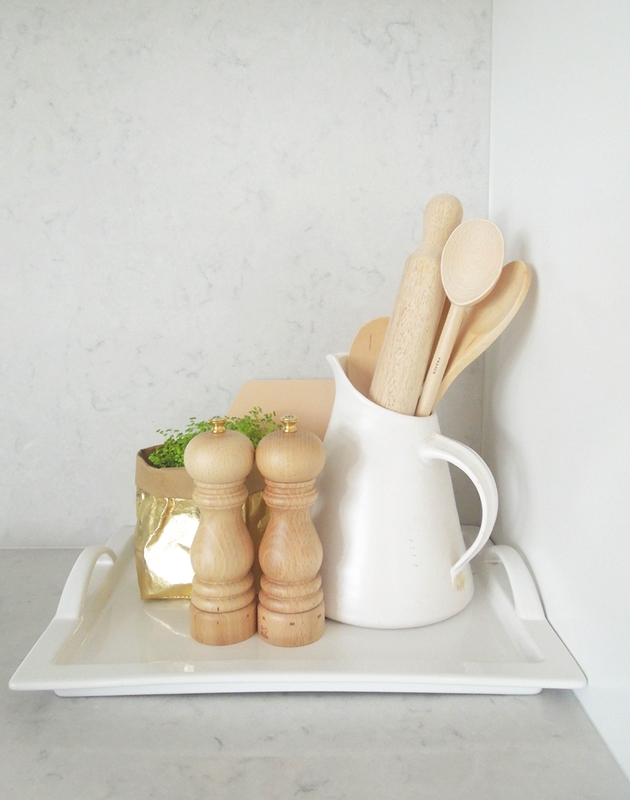 I am also in the early stages of planning to update my kitchen.Unfortunately I have very little storage so working out how to incorporate more into a small space. 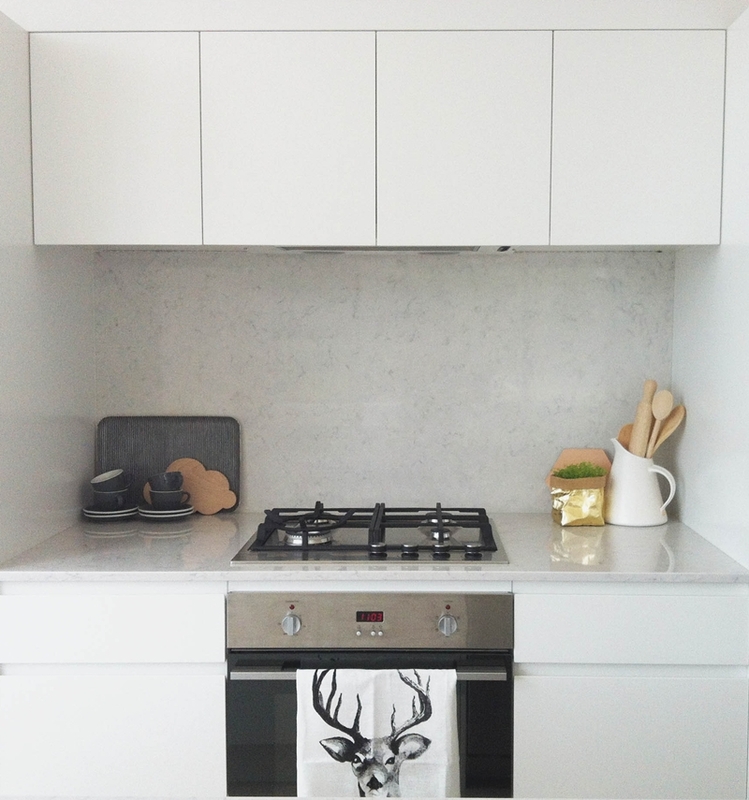 I like the way you have continued the bench tops behind the cooker, it gives a really seamless, streamlined look. 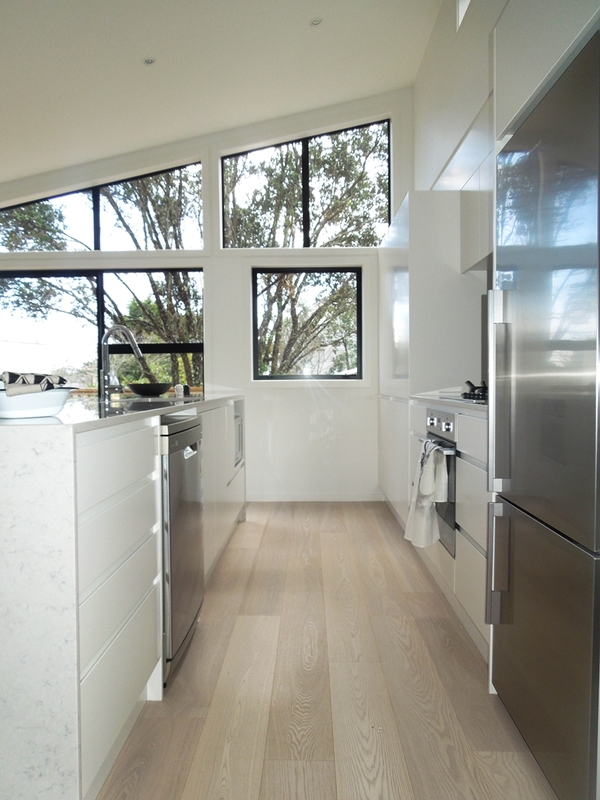 These kitchen bench tops looks fantastic. Loved it. May i ask where you purchased the striped matt/rug in the background? 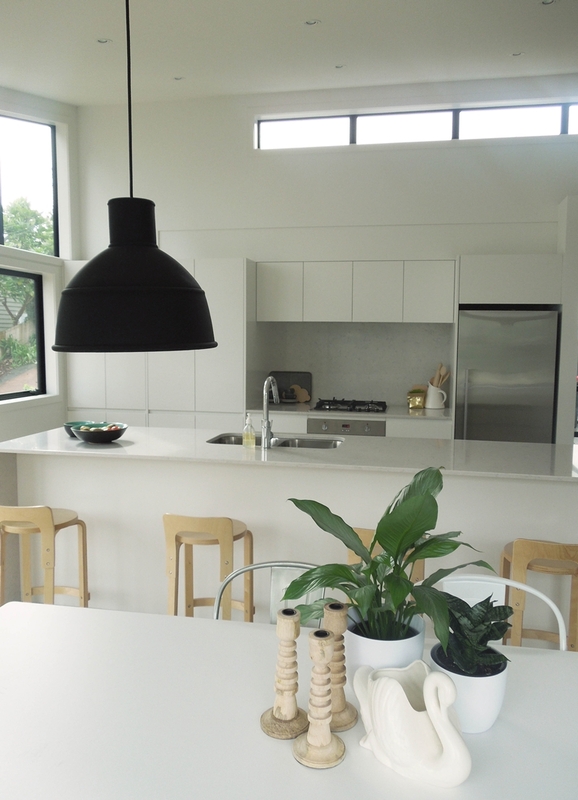 We're about to renovate our kitchen so I'm finding your posts very inspiring :) Can I ask which kitchen company you went with for your cabinetry/benchtop? They were excellent - I highly recommend them. Thanks so much for the contact :) Did you by any chance design/measure the space yourself, then got Central Joinery to do the manufacturing? Or did you use a designer as well?